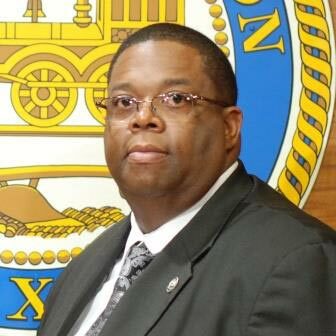 Reggie Harris is the Deputy Assistant Director (DAD) of the Department of Neighborhoods (DON) – Inspections and Public Service Division (IPS) for the City of Houston (COH). He has worked for the City of Houston since 2005. He has dedicated himself to the beautification, improving the quality of life within neighborhoods and communities for the City of Houston encompassing 644 square miles with 2.4 million people/residents. His experience in management and leadership includes The Dow Chemical Company becoming one of the youngest Production Manager at age 23 managing multiple projects each valued over ten million dollars with a return savings to Dow Chemical Company numbering into the ten’s millions of dollars. He received his Six Sigma Green Belt Certification from The Dow Chemical Company and also participated in the 1st Graduate Class of the City of Houston’s Six Sigma Black Belt Certification Program. Mr. Harris is a member of the Houston Livestock Show and Rodeo, Beef Masters Breeders United Association and the Texas Farm Bureau. His hobbies and passions include ranching, farming and fishing. He also has a deep passion for advocating for the citizens of Houston a better life through education, encouraging community cooperation for safer and cleaner neighborhoods, partnering and collaborating with other agencies.